Do you love the beauty of the desert with its mountains, pinnacles, buttes, cactus and wildlife? Then Scottsdale Arizona is the perfect place for you. Millions of people around the world visit Scottsdale Arizona as it has become a very popular tourist destination for many. The mix of old and new Southwest charm coupled with the abundant natural desert beauty makes Scottsdale a hot vacation spot for travel buffs. Scottsdale boasts many attractions including an internationally renowned art center, theatre, museums and art galleries, cultural scene, sports and entertainment venues, high-end shopping, as well as world-class resorts, spas, 5-star dinning opportunities, and nearly 200 local area championship golf courses. Scottsdale is part of the greater Phoenix Arizona metropolitan area, so flying into the Phoenix Sky Harbor International Airport is usually the best transportation option as opposed to driving a vehicle over lonely desert roads and mountains. Scottsdale gets around 330 days of sunshine per year, which is one of the main attractions of this area. The climate around Scottsdale is known to be generally quite warm throughout most of the year. In the Summer months the outdoor temperatures will stretch well above 100 degree many days. The best time to visit Scottsdale is during the late fall, Winter and Spring when you’ll finds much more comfortable temperatures which are generally within mid-70 to mid-80 degrees. Scottsdale is made up of what is called Old Scottsdale to the South, and New Scottsdale to the North. The City keeps its historical Southwestern charm in the South section while blending in modern conveniences and attractions in the Northern section of town. Old Town Scottsdale offers the small Southwestern town ambiance with its unique boutiques and shops, architecture, restaurants and pubs. The 5th avenue shopping district along with Old Town is a fun place to stroll, shop for authentic western and Indian goods & jewelry, and people watch. The newer downtown Scottsdale area located just north of Old Town is adorned with statues and artworks in this area of town for the visitors to appreciate. In Downtown Scottsdale you will find modern architecture and many of your modern conveniences and attractions. You can’t help getting out and visiting perhaps the most popular attractions in the Scottsdale area, the McDowell Sonoran Preserve is the Sonoran Desert. Visitors come here to enjoy the vast unspoiled open desert with all its beauty, rock formations, and wildlife. It’s a great place to go for a hike or bike ride with its marked hiking trails which include some wheelchair access. This actual dessert part of the area is visited by many tourists to the area because of its natural wonders that people enjoy seeing due to its vast size and the opportunity to appreciate nature. There are plenty of off road vehicle tour companies and even bus tours to give you plenty of options to ensure that tourists are able to see this part of the city and not miss out on it. As you travel through the Scottsdale and Phoenix area, the most iconic landmark you’ll see is called Camelback Mountain. The rocky mountain got its name because it resembles a camel lying down—complete with humps and head. As you navigate the Scottsdale area, Camelback Mountain is always a good point of reference. One of our favorite local attractions is the Musical Instrument Museum (MIM) located on the corner of Tatum and Mayo in North Scottsdale. This super large two story facility houses displays of musical instruments throughout history and from all regions of the word. The museum has a room dedicated to the USA, a room for Europe, a room for Asia, one for Africa, and much more. They feature a guitar room that displays many antique and modern & innovative guitar models which are very rare. Visitors to the museum are provided with head phones which operate automatically as you approach and stand in front of a display. Many displays include video to watch as you listen to the narrative on the head phones. You can see and hear how guitars are made, and watch video of iconic artist and musical pioneers. The museum is very large and you can easily spend a few hours there, even if you did not intend to do so. You will never get bored in Scottsdale as there are many other well-liked activities and attractions available for travelers to partake in. Golf outings are quite fun for many people as they attempt to fully appreciate what the city has to offer with this beloved sport. There are nearly 200 golf courses in the Scottsdale area to choose from. Many golf courses in the area are world famous for their challenging design and spectacular views. You will also find plenty of world-class shopping offered throughout the city. The planning of a shopping trip in this city is usually geared toward the Scottsdale fashion square due to the fine boutiques and major names that are on the higher and median end of pricing and luxury. The town offers plenty for shopping enthusiasts to enjoy. Other Popular activities and attractions include the McCormick-Stillman Railroad Park which is quite fun for the entire family, the Southwest Wildlife Conservation Center, the Phoenix Zoo, Wildlife World Zoo & Aquarium, the Commemorative Air Force Aviation Museum, the Apache Trail at the Superstition Mountains, Architect Frank Lloyd Wright’s Historic Taliesin West, the Butterfly Wonderland Atrium, the Penske Racing Museum, and various Indian Gaming Casinos and reservations. Most local attractions are reasonably priced and worth the visit. 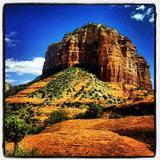 It’s very easy to take some really good day trips from Scottsdale and return in the evening. In around 90-minutes you can travel north above 5,000 feet elevation to the fascinating red rock buttes of Sedona and visit its trendy down town with its many galleries, southwestern restaurants and Sedona’s Tlaquepaque Arts Village. On that same day trip you have time to visit Prescott which boasts 5 lakes, casinos, the historic downtown and its famous Whisky Row. It’s easy to make a day trip to the high mountains of Flagstaff or the Grand Canyon which is around three hours from Scottsdale. In around 90-minutes you can drive south to the historic town of Tucson Arizona and enjoy its history, shops and southwestern and Mexican dinning. Bourbon Steak – World renowned award-winning Chef Michael Mina has created the perfect upscale steak house located on the Fairmont Princess Resort property. The relaxing décor is beautiful natural woods and sandstone tones of the desert. The restaurant features the finest cuts of natural Kobe and Angus beef, poultry and fresh fish all wood fire grilled to perfection and accompanied by modern American side dishes made fresh from local seasonal ingredients. You’ll find menu items like lobster, scallops, oysters, and Ahi tuna in addition to prime meats. You’ll find an extensive fine wine list and signature cocktails from the bar. There is also a lounge menu for more casual dining. The food is fantastic and the service is superb. Prices are moderate to expensive. Talavera – Located at the Four Seasons Resort at Troon North, Talavera is an innovated steak and seafood restaurant with a great ambiance, featuring dramatic desert views, vibrant décor and elegant patio dining. Chef Mel Mecinas focuses on locally and regionally sourced cuisine, using prime cuts of meat, poultry and game from boutique sources as well as a wide variety of fresh seafood. Talavera uses Arizona ranch raised beef and fresh produce from local farms. The innovative menu is paired with an extensive wine list and the restaurant serves premium signature cocktails as well. The desserts are out of this world. Chef Mecinas will actually make sure you are enjoying your meal and occasionally stop by your table. The service is outstanding and the food is terrific. Prices are moderate to expensive. Mastro’s City Hall Steakhouse – Located on East Camelback Road, Mastro’s serves traditional steaks, chops and seafood along with an extensive appetizer menu, extensive wine list and features a vibrant evening bar scene with outstanding cocktails and piano lounge. Enjoy drinks and appetizers on the outdoor bar patio. Appetizers include a seafood tower, sashimi, caviar, king crab legs, oysters, crab cakes and much more. There is a large selection of steaks, chops, lamb and veal dishes to choose from, as well as lobster tails, crab, salmon and other seafood dishes. There is a nice selection on the dessert menu with traditional and innovative deserts. The service is very good and prices are moderate to expensive. Eddie V’s Prime Seafood – Located on North Scottsdale Road, Eddie V’s serves masterfully prepared seafood dishes that are both tantalizing to the eye and taste buds. The restaurant features a classy modern décor of natural woods and desert sandstone colors and offers live jazz music to create an elegant ambiance while you dine. The lounge is lively every evening and serves some of the best cocktails around. Their happy hour is popular. Eddie V’s serves hand selected fresh fish and shellfish as well as premium aged hand-cut steaks and offers a decent wine list for that perfect pairing with your meal. Seafood offered includes lobster, crab, oysters, scallop, sea bass, salmon, Ahi tuna, swordfish, Alaskan Halibut, sole, grouper and more. This is a fun place with a nice ambiance good service and great food. Prices are moderate. The Mission – Located on N. Brown Ave. in Old Town Scottsdale, The Mission serves outstanding modern Latin cuisine in a casual ambiance of elegant old world charm. Their cocktail lounge serves hand pressed specialty drinks as well as old standards. The menu is innovative with dishes such as shaved Kale salad with goat cheese and almonds, duck carnitas empanadas, scallop tacos, mesquite braised short ribs cooked with olives and capers, and house made chorizo sausage with rosemary and white bean puree. It’s a real treat to try the cuisine at the Mission. The service is attentive and professional. Prices are moderate. Other popular restaurants we recommend include Mastro’s Ocean Club Seafood, Wildfish Seafood Grill, Deseo at the Westin Kierland Resort, Café Monarch, Binkley’s, La Torretta on N. Scottwsdale Rd., Alto Ristaurante at the Hyatt Regency, Cowboy Ciao, Casa Mia, Elements, Bandera, the Capital Grill, My Big Fat Greek Restaurant in downtown Phoenix, Old Town Tortilla Factory, the Pinon grill at the Millenium Resort, Ahnala Grill at the Fort McDowell Radisson Resort & Casino, Kopelli’s at the Gold Canyon Golf Resort, Tommy Bahama Restaurant & Bar at Kierland Commons, and Charleston’s which are all known to offer great dining experiences and the best of what any local food scene has to offer. JW Marriott Phoenix Desert Ridge Resort & SPA – The JW Marriott near North Scottsdale is surrounded by the championship Wildfire Golf Club and features a grand multi-level lobby complete with relaxation areas, a luxurious bar, and includes outdoor seating with fire pits for evening relation. The six-floor resort has 869 guestrooms and 81 suites. The spacious guest rooms and suites include private balcony, large bathrooms with separate tub and shower, internet, Web TV, mini fridge, well-appointed furnishings, deluxe décor and modern amenities. The resort features four acres of swimming pools, whirlpools, a fun lazy river pool and water slide, waterfalls, lakes & ponds, gardens, lighted tennis courts and golf course. Other amenities include several fine dining and casual restaurants including “Roy’s, the Stonegrill, Meritage Steakhouse, Tuscany Italian Restaurant, pool-side dining, an award winning world-class spa and fitness center, grand ballroom, meeting rooms, retail shops, concierge service and 24-hour room service. This is a fun resort with plenty of activities, amenities and great service. Fairmont Scottsdale Princess Resort & Spa – The Fairmont is close to downtown Scottsdale and sits on a large property on the edge of two golf courses. The resort includes 649 guest rooms, suites and 119 spacious casitas. The guest rooms include work areas, terraces, wet bar, internet access, and oversized luxurious bathrooms. There are fine and casual dining restaurants including four award winning restaurants like Bourbon Steak by Chef Michael Mina and the famed La Hacienda Mexican Restaurant. You’ll find multiple relaxing and fun bars and lounges throughout the resort. There are five large swimming pools, whirlpools, a double water slide tower, the world-class Willow Stream Spa, fitness center, seven lighted tennis courts, and two 18-hole championship PGA golf courses. Other amenities include ample meeting facilities, business center, concierge service, complimentary self-parking, kids club, and 24-hour room service. The service at the resort is superb to make your stay special and the central location puts you close to everything. Four Seasons Resort & SPA at Troon North – The Four Seasons is a series of 210 guestroom suites in 25 one-or-two story adobe casitas spread out around a central lobby, dining, swimming, and retail shop hub. Guest suites include private terrace or balcony with spectacular views, luxury southwestern and Mexican interior furnishings and art, large living and dining areas, oversized bathrooms and all the modern amenities you can think of. The southwestern architecture blends in with the rocky desert hills and landscape. The resort features a large pool area with multi-level pools, kid’s pool, whirlpools, private cabanas and exquisite pool bar. There is complimentary sunscreen and fruit while you enjoy a pool day. The resort includes the award winning Talavera Restaurant which is very highly rated, as well as other dining options. The resort has two lighted tennis courts, luxury spa and fitness center, as well as hiking trails. Guests enjoy special privileges at the nearby championship golf courses of Troon North Golf Club, as well as guest privileges at the Troon North Clubhouse. This is the perfect resort for those who want larger guest room living space and a more private experience. The service is superb and the desert scenery is out of this world. Arizona Biltmore Waldorf Astoria Resort & Spa – Since its grand opening in 1929, nearly every U.S. President and major golden era film star & celebrity has vacationed at this fabulous classic resort. With architecture inspired by famous architect Frank Lloyd Wright, this classic resort of yester-year built with mostly indigenous materials, has 39 acres of gardens, eight swimming pools (including Marilyn Monroe’s all-time favorite pool), waterslides, two PGA championship golf courses, a 22,000 square foot luxury spa, salon, and fitness center, seven lighted tennis courts, grand ballroom, meeting facilities and retail shops. The 740 modern and spacious guest rooms include luxury suites and 78 one-and-two bedroom villas all with luxury furnishings, large bathrooms, internet access and full of state-of-the-art amenities. The resort includes multiple award winning restaurants like Frank & Albert’s and Wright’s at the Biltmore, as well as three others. Every hour there is a shuttle to the Biltmore Fashion Park for those wishing to do some serious shopping. Other amenities and services include a concierge service, business center and 24-hour room service. This resort is fun and vibrant with plenty going on, full of fascinating history, and the service is outstanding and friendly. The resort continues to attract celebrities and dignitaries from around the world. Westin Kierland Resort & Spa, and Villas - The Westin Resort is located on the Kierland Golf Course across the street from the Kierland Commons Shopping district. The resort features spacious luxury hotel guest rooms and villas. Every one and two bedroom villa includes complimentary Wi-Fi, in-villa washer/dryer, fully equipped kitchen/kitchenette, private bedroom access, and spacious living/dining areas. The property includes a full service luxury spa and fitness center, multiple swimming pools with private cabanas, hot tubs, three nine-hole golf courses, tennis, a water park with water slides, a flowrider surfing machine, lazy river, multiple restaurants & lounges, kids club, and more. There is also fine dining available at the commons across the street. The resort includes meeting facilities, a business center and concierge services. The resort is fun and lively. It’s an excellent resort for families as well as couples and singles. The service at the resort is great and the staff goes out of their way to make certain you have a good experience. Hyatt Regency Scottsdale Resort & Spa at Gainey Ranch – This 27-acre resort property has it all. The 493 Guest rooms and suites include private balcony or patio, Hyatt Grand Beds, oversized desk, 37 inch flat screen TV, Stereo, well-appointed furnishings, deluxe bathrooms, and full modern amenities. The resort includes a full service luxury spa, fitness room, ten swimming pools, private cabanas, fountains, waterfalls, retail shops, onsite car rental center, multiple fine dining restaurants and lounges, nightly entertainment, 27-hole championship golf course, lighted tennis courts, gondola rides on the lake, 2.5-acre water park complete with a 3-story high speed water slide tower, conference facilities, business center, hi-speed Wi-Fi, concierge service, kids Camp Hyatt, and shuttle service to local shopping. The resort is vibrant in the evenings and your days can be either fun or relaxing. This resort is good for couples or families. The staff is friendly and the service is superb. There is no shortage of fine resorts in the Scottsdale area. Other popular resorts we recommend include the Montelucia Resort & Spa, the Royal Palms Resort & Spa, Sanctuary on Camelback Mountain, The Boulders Waldorf Astoria Resort, the JW Marriott Camelback Inn Resort & Spa, and The Canyon Suites at The Phoenician, which all offer superior accommodations and sophisticated service. VoyageMonkey.com Travel offers easy online travel booking to Scottsdale, as well as travel consultants to assist you with your plans. Scottsdale is the perfect desert vacation destinations and our easy Online Travel Booking is a great way to book your Travel Reservations and find discount travel deals to Scottsdale.